Beautiful Lakefront Home. This home has Buoy/Dock/Pool Table/Pet Friendly. 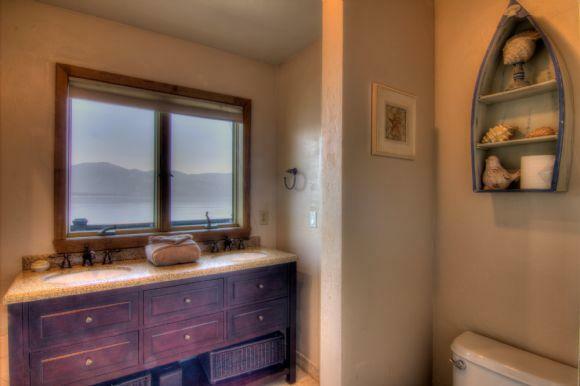 Boulder Shores is your perfect Lakefront vacation spot. 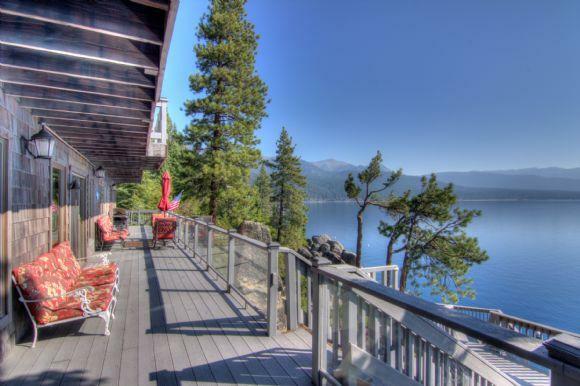 Located just off State Route 28 near Crystal Bay, This charming Lakefront home has many upgrades throughout, creating a peaceful, serene and fabulously fun retreat. 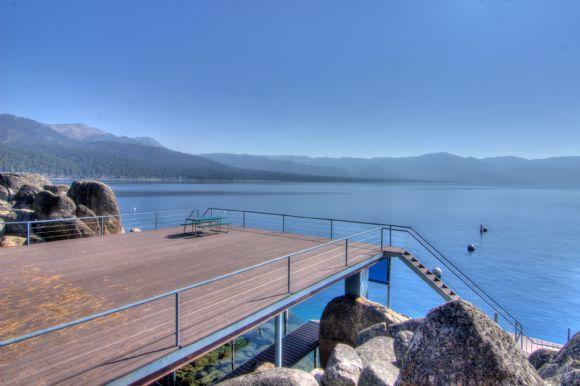 From the rear deck, you will be impressed by the massive granite boulders going down to the lake, hence the property name - Boulder Shores. 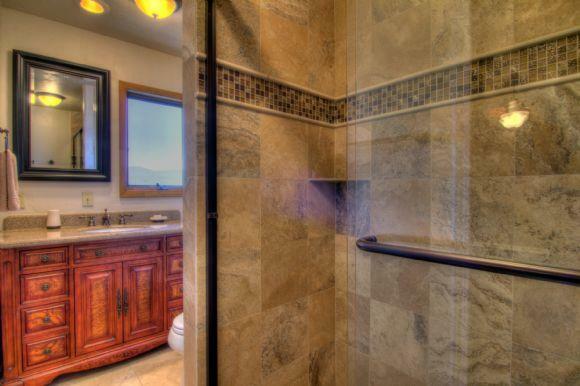 The home is situated in a private, secluded, gated neighborhood of only eight custom homes. 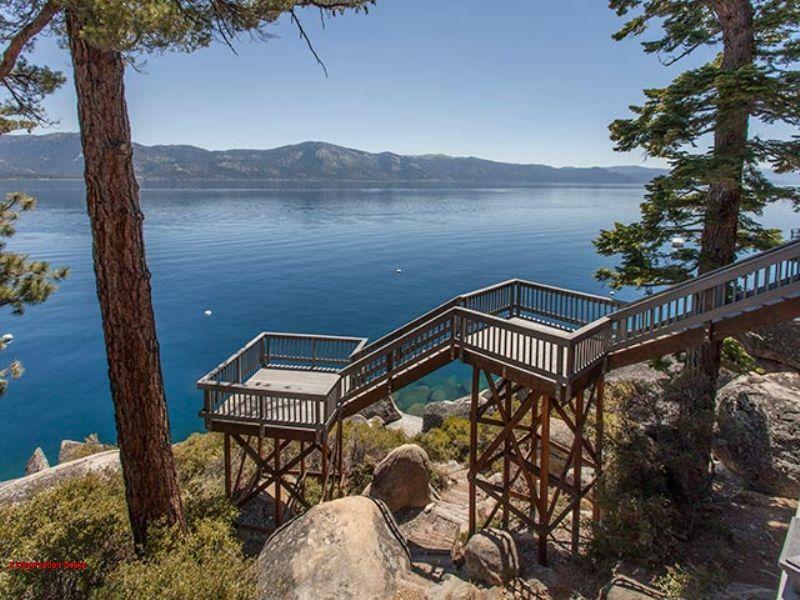 Guests enjoy unbelievable, panoramic lake views of North Lake Tahoe all the way down to the South Shore. There is easy boating access with a deep-water dock and owner-buoy to moor your boat. After a day on the lake, there is ample room for everyone in the updated kitchen with granite counters and a large central cooking island with 5 bar stools. The large table in the dining room will seat 12 or more people. The kitchen offers anything a gourmet chef could need to create a memorable feast. It is perhaps the best-stocked kitchen we have on our program. Although there is no sandy beach, there is a short, private winding walkway leading to the large community dock and pier where guests can sunbathe and fish off the deck, jump into the lake from the long jetties or simply relax while enjoying a spectacular sunset. 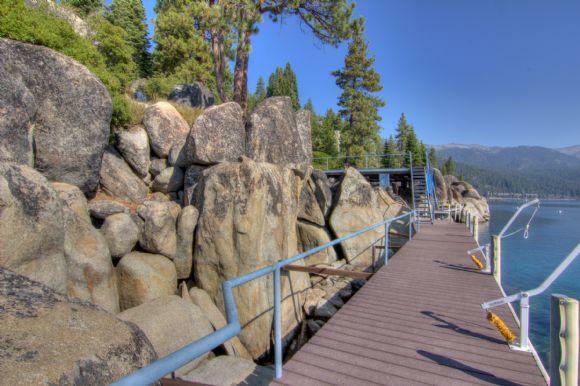 You will also find a secluded swim deck nestled in the boulders for private sunbathing or quiet moments. Swimming in the lake is refreshing in July through September; however, bring your wet suits if you tend to get cold. For more privacy, the home's main deck has two small overhanging platforms situated under the massive pine trees for an intimate getaway. LAYOUT: Situated on a down sloping lot leading to the lake, the driveway is level entering the top floor garage with enough parking for four cars, two in the garage and two on the driveway. Alternate parking is curbside. From the garage, you can take the elevator to the two floors below or walk down the steps to the top floor entry. The elevator's first stop is the main entry where four of the five bedrooms are located. 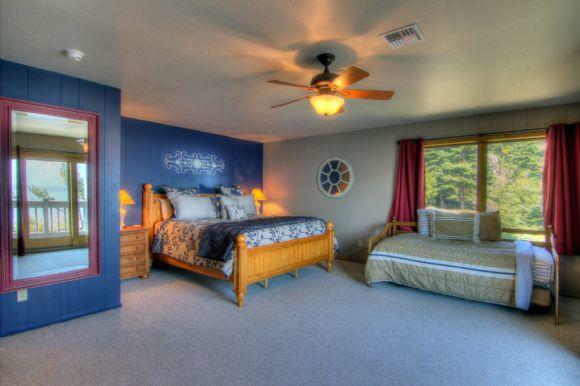 Three rooms have king size beds, two with a trundle or sofa bed, with sliding glass doors to the top deck. The fourth has bunks for four or five children and/or adults. There is also a sofa bed in the entry. Take the elevator or walk down to the lower level where you will find a new pool table in the large open great room encompassing the living, kitchen and dining areas. 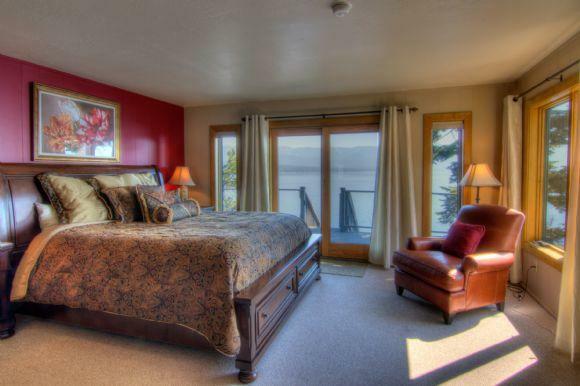 The master bedroom is located on this floor featuring a king size bed, cozy sitting corner overlooking the lake and a newly remodeled luxurious bathroom. Easy entry to the rear deck is available from three sliding glass doors on this level. 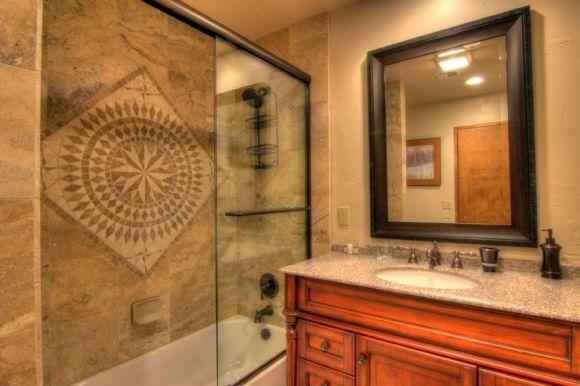 All the bathrooms were recently remodeled, four featuring elegant granite counters and travertine tile. ENTERTAINMENT: Boulder Shores offers many updated electronics. There are flat screen TVs in every bedroom and a 47" flat screen over the gas fireplace in the living room, with upgraded Cable, DVD and IPod stereo dock. PETS: This home is pet friendly with one or two dogs only. Extra charges apply of $125 for one dog and $225 for two dogs regardless of your length of stay. COMMENTS: Please note, although the Homeowners Association contracts yearly with a snow removal company, the access road to Boulder Shores is a steep switchback. All-Wheel Drive vehicles are advised and chains may be required. Prices are subject to change and all groups must have adult members over 25 years of age. NO SMOKING: There is no smoking on or around the property at any time.